The marble dibbi set is a very colorful product with meenakari designs adorning it all over. 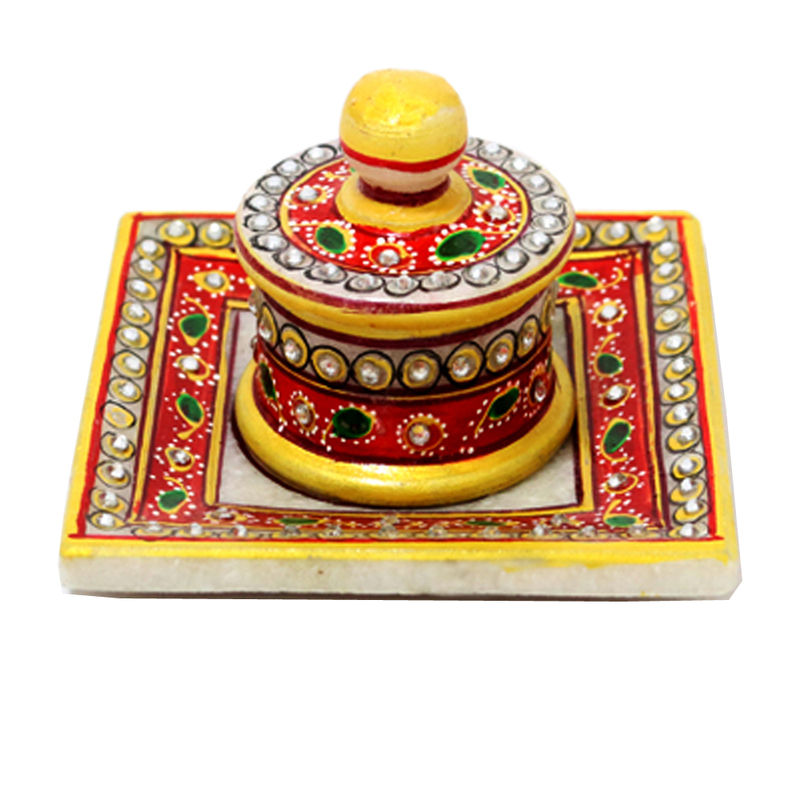 It is placed on a small tray which is Read More..vibrant with yellow, red and green color. The tiny dibbi is cute to make a preset or just to showcase in the house. The tray is rectangular in shape with the small dibbi in the centre. the presence of this product will further catch attention of the guests. Show Less..